Smalltimer "Tjorven" inbound for Asdalstrand with small barge. Photo by Tomas & Son. 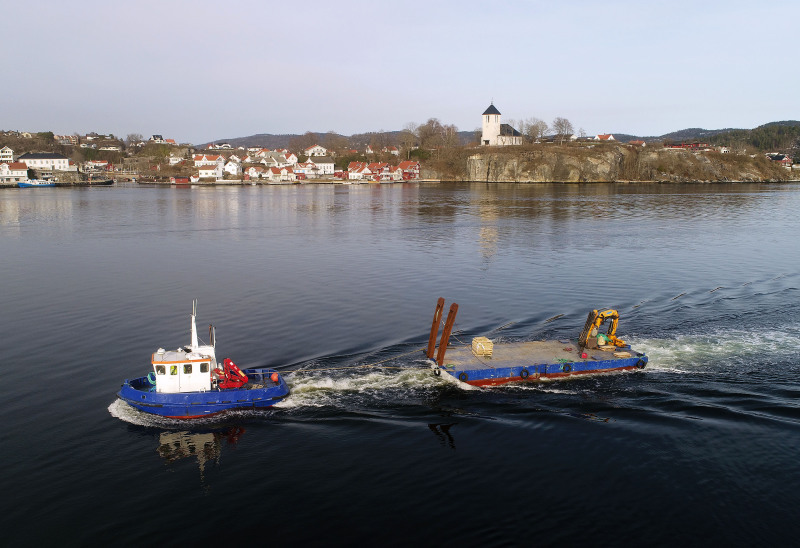 a small tug with a small barge and in the background the lovely small brevik church.Well done Tomas & Son! Cheers,Volker.